“My lifestyle made me a walking time bomb”. For a generation of kids growing up in the 1970s, Jack Wild was synonymous with his role in the Sid & Marty Krofft kiddie show H.R. PufnStuf as Jimmy, a boy shipwrecked on Living Island with his magic talking flute Freddy “Fweddy!”, and pursued by the scheming Witchiepoo. In retrospect I was shocked to learn that there were only 17 episodes made, plus a full-length movie with Mama Cass. The popular teen star was a millionaire at 18, an alcoholic by 21, and spent the next two decades in a drunken haze that he could barely escape. His death at age 53 in 2006 was sad news for fans to hear, and even sadder when they learned of the suffering he had endured in his short life. “I look at what I’ve gone through in my career and I really shouldn’t be talking to you now. 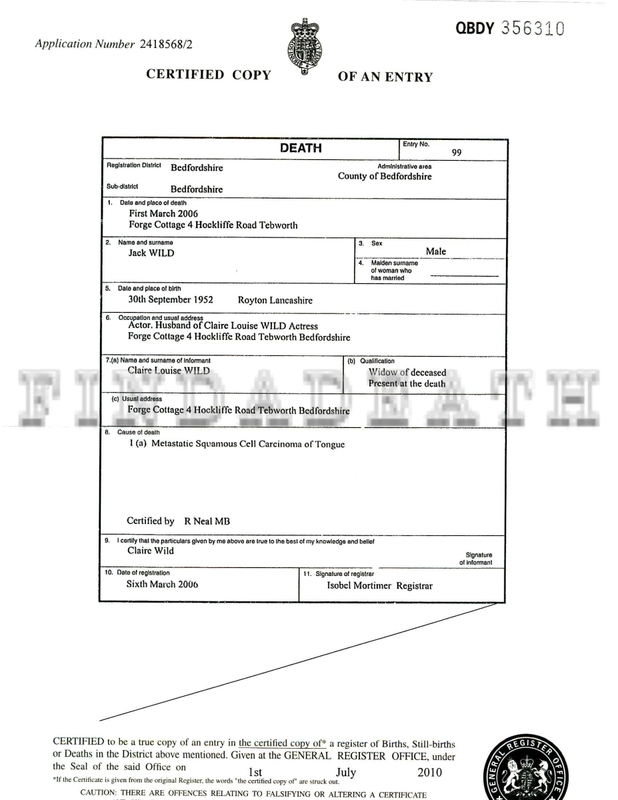 I should be dead ten times over”. 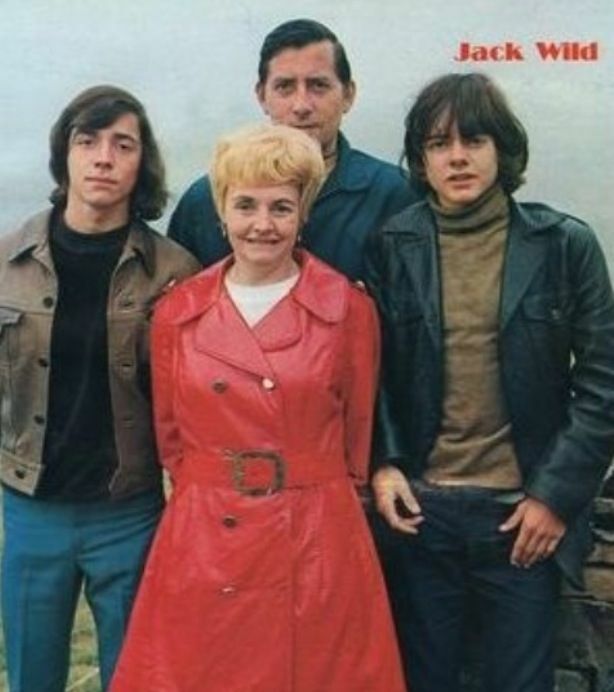 Jack Wild was born to a working class family of millworkers Jack & Vera (not Duckworth) who had moved south from Manchester to Hounslow, West London. He and his older brother Arthur (“Arfa”) found themselves in the same school pantomime ‘panto’ play as future pop star Phil Collins. In 1964, when Jack was twelve, Collins’ child-talent agent mum (who also helped cast Chitty Chitty Bang! Bang!) June approached the Wild brothers one day as they played soccer with her son. She asked them if they’d like to earn much more money than delivering newspapers or milk? The boys were soon enrolled in a stage school for child performers and won roles in the long-running West End production of Lionel Bart’s musical Oliver!. Phil Collins landed the role of Dodger to Jack’s chagrin, due to Jack not being tall enough to be considered. Arthur Wild was cast as Oliver, and Jack got the role as the Dodger’s sidekick, Charlie Bates, which paid for their tuition in their stage school. The Wild brothers would take the underground after class to the New Theatre (now the Noel Coward Theatre) in St. Martin’s Lane for 8 shows a week. Jack and Arthur both appeared in BBC shows and TV commercials during these years. They were doing what they loved and helping their family financially. Oliver! (1968) took a year to complete. Mark Lester in the title starring role of Oliver Twist wore five dental plates to cover the missing baby teeth that he was losing at a rapid rate. 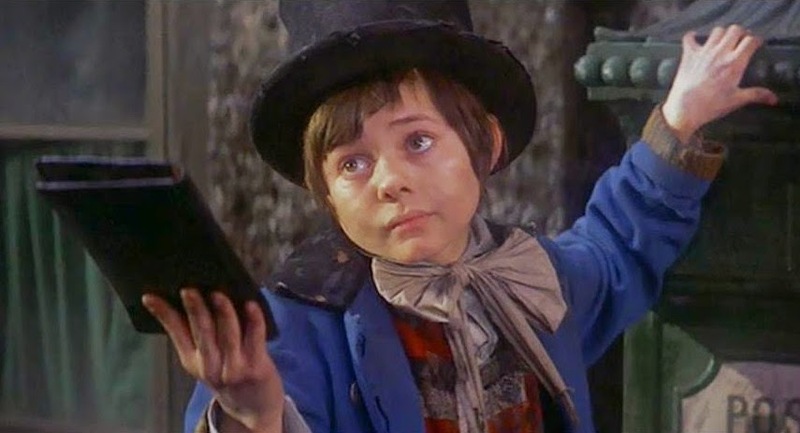 He also grew taller than Jack Wild – so Jack was fitted with lifts in his shoes. All of the boys were terrified and in awe of Oliver Reed, who delivered on his hard-drinking macho successful actor reputation when he roared to the set daily in his primrose yellow, E-type convertible Jaguar. The film’s spectacular musical crowd sequences were by legendary choreographer Onna White and earned her an Honorary Academy Award. She recounted the film shoot at a Hollywood screening in 2001 saying that even the pigeons being released had to be timed perfectly. Onna White also recalled that Mark Lester was overwhelmed by the Consider Yourself! 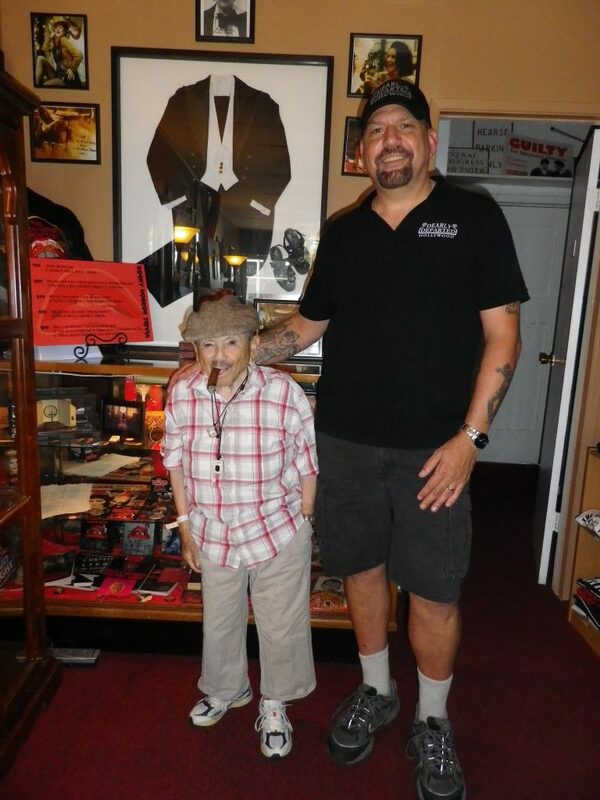 number but he got through it by the seat of his pants – literally, as Jack Wild was hoisting him by his belt to keep him moving in the right direction. 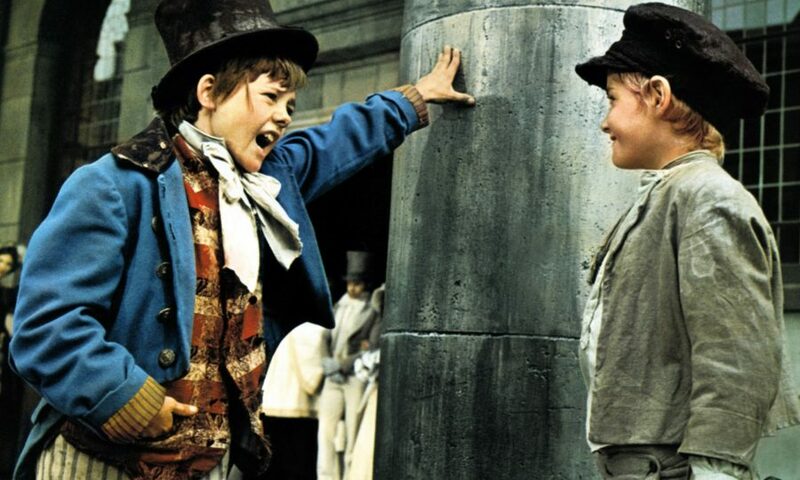 Jack Wild, stole the film (heh) from Mark Lester – as Jack did his own singing (unlike Lester who was voiced by the music arranger’s daughter) and totally embodied the pickpocket troupe leader like a ragtag cockney James Cagney. American TV producers Sid & Marty Krofft were at the 1968 premiere and not long after contacted Jack to offer him a 5-year $1 million dollar contract as the star of their new series H.R. PufnStuf. Personally I loved the TV show and saw the movie at the local Drive-In. If you loved this show, well, I would recommend you might reconsider watching it again. I did… and I kinda wish I’d kept it as a memory. 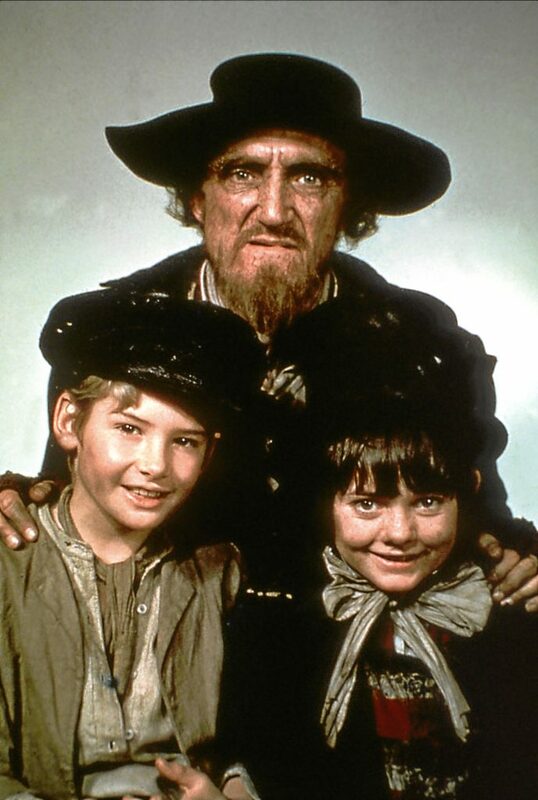 Audiences and the film academy took notice of Jack’s film debut and he was nominated for an Oscar, alongside Ron Moody as Fagin. 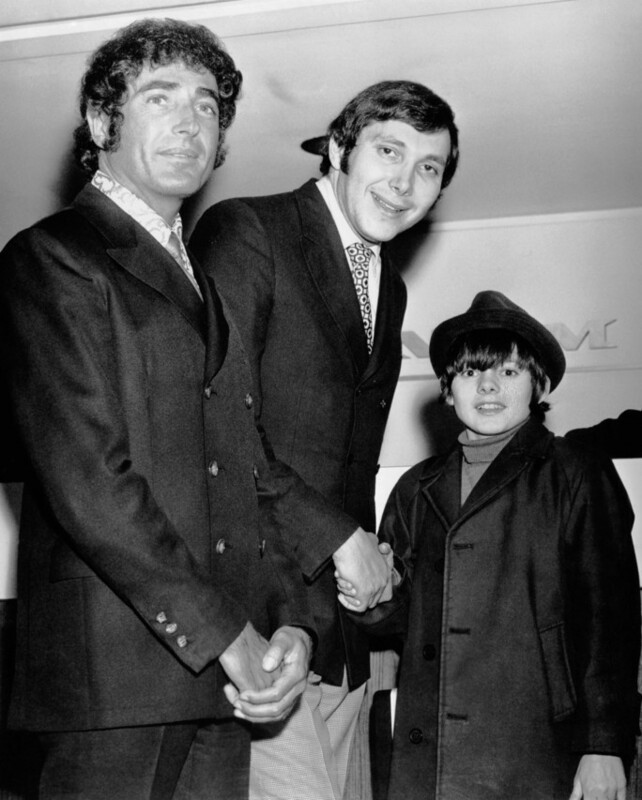 Jack attended the April 1969 Oscar telecast just 5 months shy of his 16th birthday and all of showbiz wanted to meet him. It’s reported that producers wanted him to sing with Sinatra during the ceremony but Jack had no interest. He was hot and the young Oscar/Golden Globe/ BAFTA nominee with a million dollar contract was a showbiz success story that the press loved to tell. 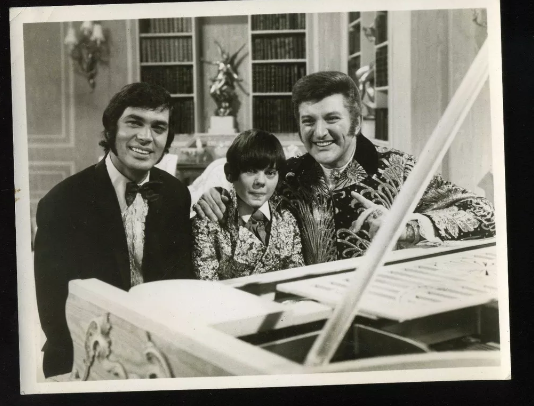 Jack made appearances on two London-based TV variety series that year, namely The Liberace Show and Engelbert Humperdinck Show. Yes. Jack landed back in Los Angeles in Summer ’69, and Sid & Marty Krofft had a huge billboard installed on Sunset as a surprise (and self promotion, of course). Jack was driven in a brown Rolls Royce ( pre-owned by Ringo Starr) and told to look up to read the billboard’s message: HOLLYWOOD WELCOMES JACK WILD. Jack was turning 16 and the teen mags would have a love affair with him (and his actor brother Arthur) in the years to come. 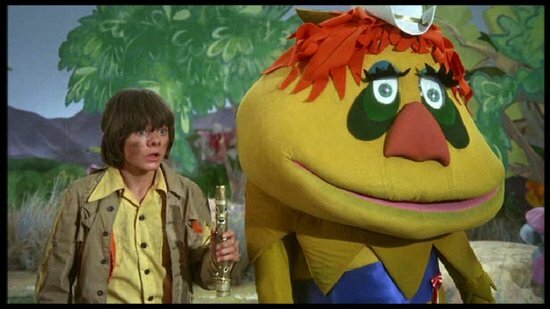 “The (PufnStuf) storyline concerns a boy named Jack and his experiences on a fantasy island where everything, EVERYTHING, is alive and talks. Trees, for example, and there are society trees and hippy trees and so forth, just like us . And there’s an [doctor who is an] owl who lives in a ‘sick’ house – it has a terrible cough because it smokes to much, and it’s windows are all bloodshot. 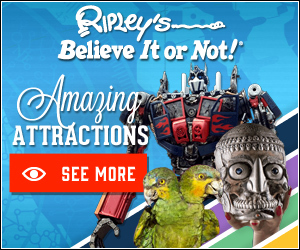 There’s a witch of course, and old PufnStuf, who’s mayor and a good guy, and a bumbling dragon named Orson, and a family of watches who don’t know the right time, in all 86 characters.” Yeah, no acid there. Jack performed well for the 17-episode Krofft series and the show was popular enough to make a quickie (32 days) 1970 tie-in film called PufnStuf! featuring Sid Krofft’s neighbor Mama Cass. Mama Cass in a live action puppet show with a rat dressed as a nazi. Whoa and brain-explode. 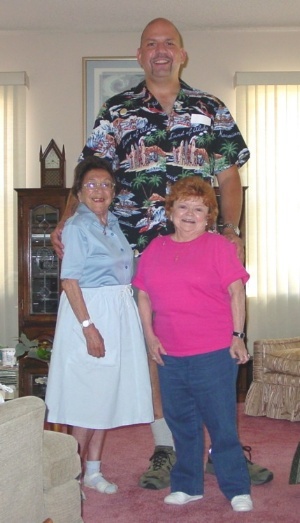 During his tenure working on the series, Jack enjoyed the family atmosphere on set with a fun crew, Billie Hayes as Witchiepoo (Penny Marshall was up for the part) and the many little people who were acting in foam costumes as enchanted creatures including the late Patty Maloney (seen here with my friend the late Sadie Corre) and the late Jerry (The Wizard of Oz’s Lollipop munchkin) Maren. I love my dead midgets. Since Jack was a minor at the time of filming, he lived with producer Marty Krofft who took Jack into his family home as his legal guardian. Marty would later say this idea was a mistake – since playing babysitter for a restless teenager (who was also contracted Talent) in Hollywood was too stressful. Jack recalled attending parties where weed, speed, cocaine and LSD were freely partaken – though Jack preferred good old-fashioned booze. He appeared on a Bing Crosby Christmas Special in 1970. 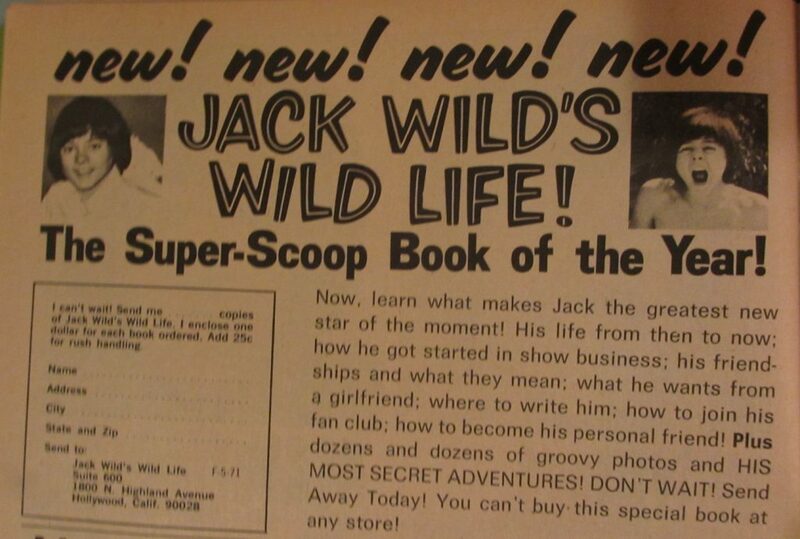 His time in Hollywood wasn’t long, but Jack Wild’s H.R. Pufnstuf was broadcast on U.S. network weekend reruns for the next 5 years until 1974. In 1975, ABC-TV broadcast the film Oliver! for the first time to U.S. homes. 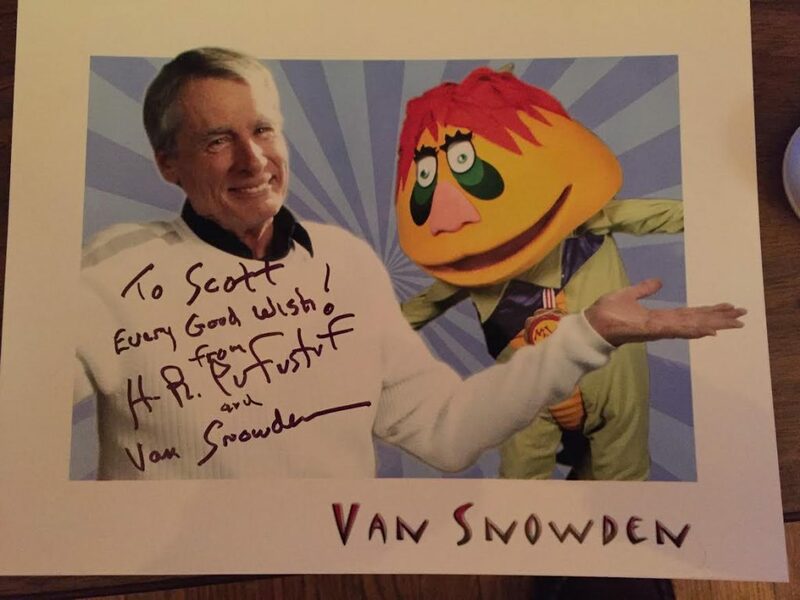 Van Snowden, the man who wore the PufnStuf costume, told me that that the producers would let the very-young Jack smoke on the set of the show. In fact that seems to be everybody’s “go to” story about Jack. That and he was a terrific, troubled guy. While H.R. PufnStuf played endlessly in reruns, Jack was off being a teen idol (receiving 2000 fan letters a week) and trying to extend his film career. All roads seemed to lead back to Oliver! and he was reunited with cast mates in two 1971 films: Co-starring with Mark Lester in Melody and Co-starring with Ron Moody in Flight of the Doves. Jack doesn’t do much in the latter film other than run down Irish lanes and hide from Ron Moody who plays the villainous master of disguise Uncle who wants to murder his niece and nephew for inheritance money. Wild recorded a few early 70s pop albums, but by 1976, at age 23, things had quieted down in his career. That year he married actress Gaynor Jones and they stayed married until 1985 when she left him due to his excessive drinking. Jack Wild music video complete with Stingray and banana seat! Jack had begun smoking at age 12 and by age 17 was a heavy drinker. By age 21, he had blossomed into a full-blown alcoholic and diabetic. For most of the 1980s, his existence was a inebriated haze where he’d wake up, puke, then start again drinking to unconsciousness and repeat – until day or night had no meaning. Jack’s alcoholism caused him to have 3 cardiac arrests and many ensuing hospital stays, eventually leading to psychiatric treatment. 9 miles of bad road. Reportedly the stalled career of Jack Wild inspired Morrissey to write the song ‘ Little man, What Now’ about a child star who fades from the spotlight. If you can endure Morrisuck, here’s the song. (I bet this cheered Jack considerably). His mother Vera died in 1989 and Jack moved in with his pensioner father. Jack eventually found sobriety that March of 1989 via Alcoholics Victorious – a Christian-based recovery group. 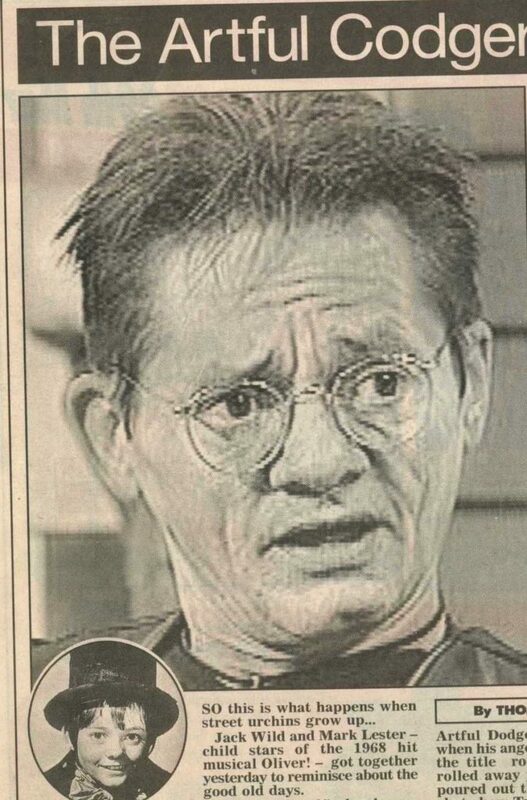 He said he didn’t blame his drinking on being a child star, because he believed he’d have been a heavy drinker in any case. He told the press that his brother Arthur also drank too much and ended up in hospital because of booze. Jack believed that his showbiz career had provided balance and saved him from a criminal life and jail – as some of his relatives had ended up. (Arthur Wild died in 2000 from complications of alcoholism). 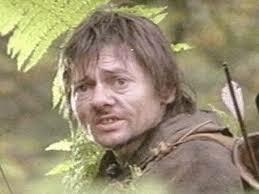 Jack appeared in a small comeback role in 1991’s Robin Hood: Prince of Thieves starring Kevin Costner. A West End play followed along with TV roles, regional panto plays, and a final indie film with Oliver! co-star Ron Moody in 2000 called Moussaka & Chips. In 2001, Jack was sober and had a live-in girlfriend named Claire Harding, and he also had a persistent ear pain. He tried painkillers but finally went to have it checked. It was mouth cancer – a tumor at the base of his tongue. Jack learned that his lifestyle of heavy drinking and smoking had made him a “time bomb” for oral cancer. He tried radiation treatment but eventually had to have chemo and a 2004 operation to have his tongue and larynx removed. The night before his surgery, Jack phoned Marty Krofft. He wanted to explain to Marty what exactly was going to happen to him. He wanted to thank Marty and say goodbye, aloud, while he still could. The surgery resulted in Jack not being able to speak or eat or drink again – all nutrients would be given as liquids through a stomach tube. He shared his story with the British press to encourage early detection of oral cancer which often can be prevented by stopping smoking and reducing alcohol intake. The first time I saw the photo below, I gasped out loud. Jack insisted to continue working in stage plays as a mute actor and would do mime and silent comedy bits in UK panto plays each Christmastime. In 2005, the cancer returned and he married Claire that September. Jack buried his father Jack Sr. that year, and his wife remembers her husband being asked for an autograph while he made funeral plans. 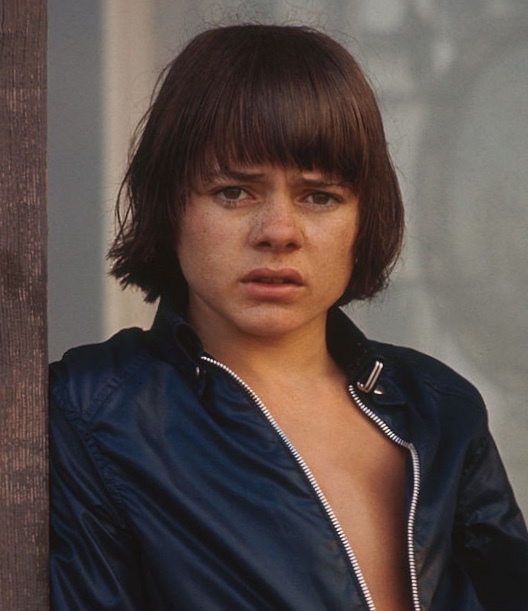 He was still “Jack Wild” to the villagers. 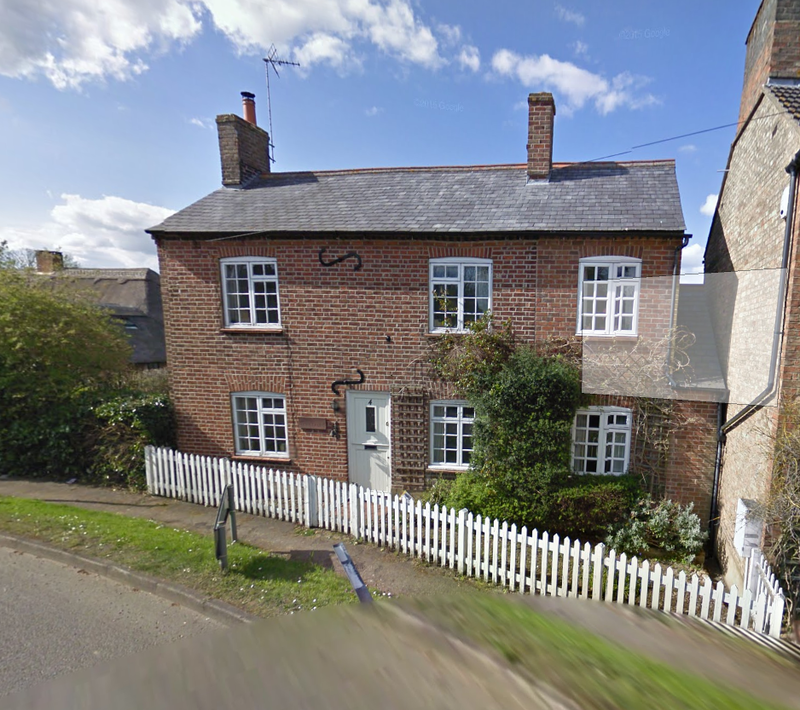 Jack Wild’s last home in Tebworth, Bedfordshire. 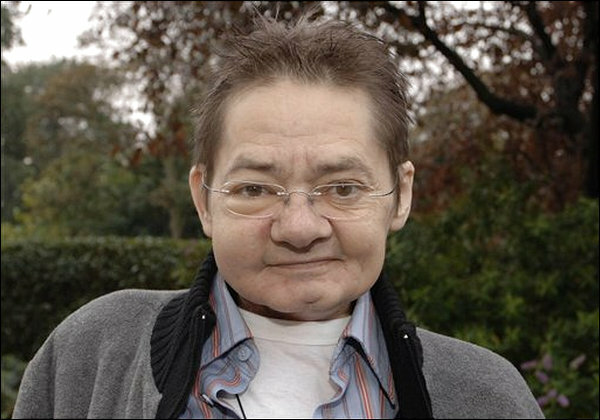 On March 1, 2006 at midnight, Jack Wild, the last surviving member of his immediate family, died at age 53 at his home in the village of Tebworth in Bedfordshire. He had been working on his memoir over the years and had expressed to his wife that he had no regrets. 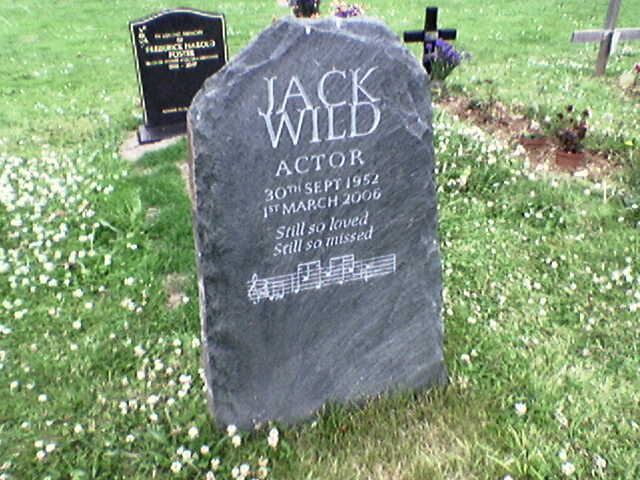 Jack Wild was buried in Toddington Parish Cemetery in Bedfordshire England. Claire Harding-Wild helped complete and sell his memoir in 2016 and A Dodger’s Life by Jack Wild was finally published a decade after her husband’s death. 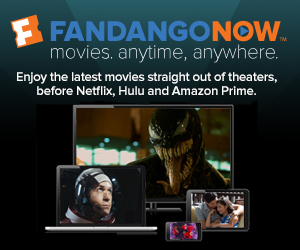 Trivia: Quentin Tarantino’s film Once Upon a Time in Hollywood is a period piece taking place in the late 1960’s. They’ve done a spectacular job making Los Angeles look like it did back then. Tarantino isn’t relying on computer graphics, he put Los Angeles back for a few weeks and it was a nerd paradise. There is a scene when a character drives past Paramount Studios. Tarantino had the studio replace the current posters with ones from 1968, one being Oliver!. 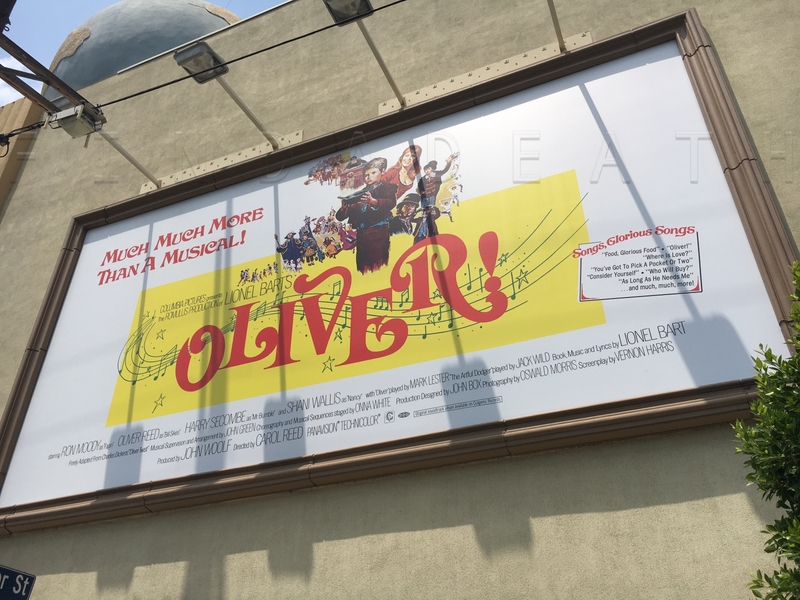 Poster for Oliver! seen in Quentin Tarantino’s film Once Upon a Time in Hollywood. 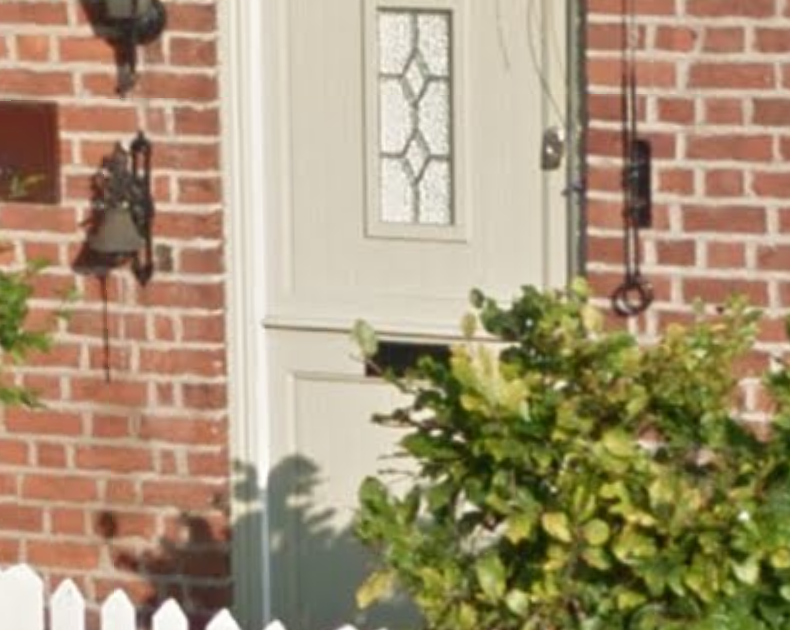 Wanna see his mailslot? You gotta squint. Trivia: As if anything about Michael Jackson could be more bizarre, Mark Lester (Jack’s Oliver! co-star) claims he may be the father of Jackson’s children.